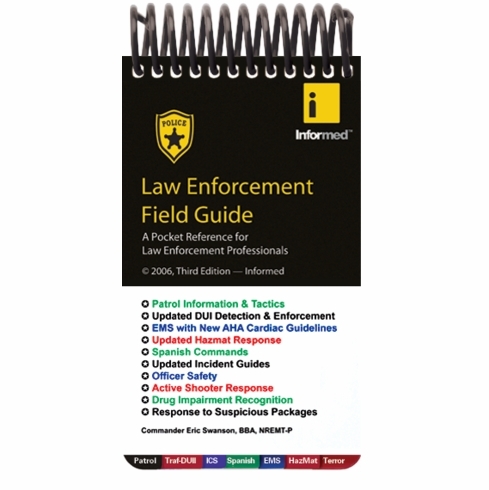 offers instant access to vital information for all law enforcement, corrections, and reserve officers, including supervisors & commanders. It puts critical response information at your fingertips for acts of domestic terrorism, critical incidents, EMS/first aid, criminal investigations, court appearances, and much more! Easily fits in a shirt pocket and is waterproof, alcohol-fast, and durable.